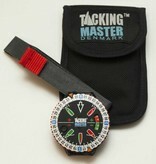 The TackingMaster is a strategy tool for the Regatta sailing with a fully analogue operation and waterproof housing. 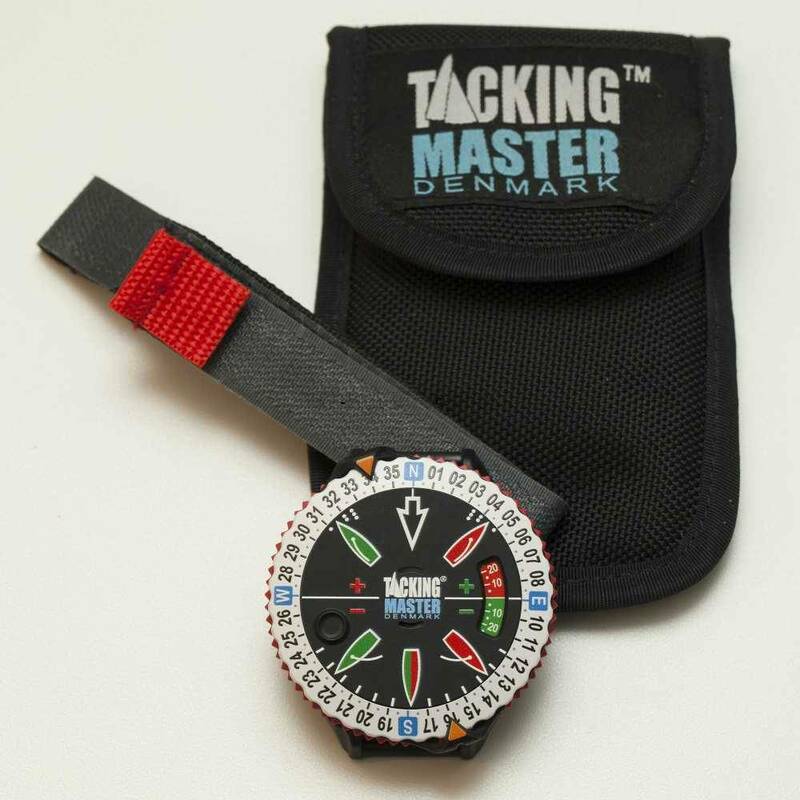 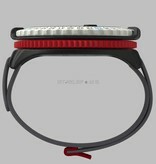 The TackingMaster is like a normal wrist watch attached to the wrist and will work with any compass. 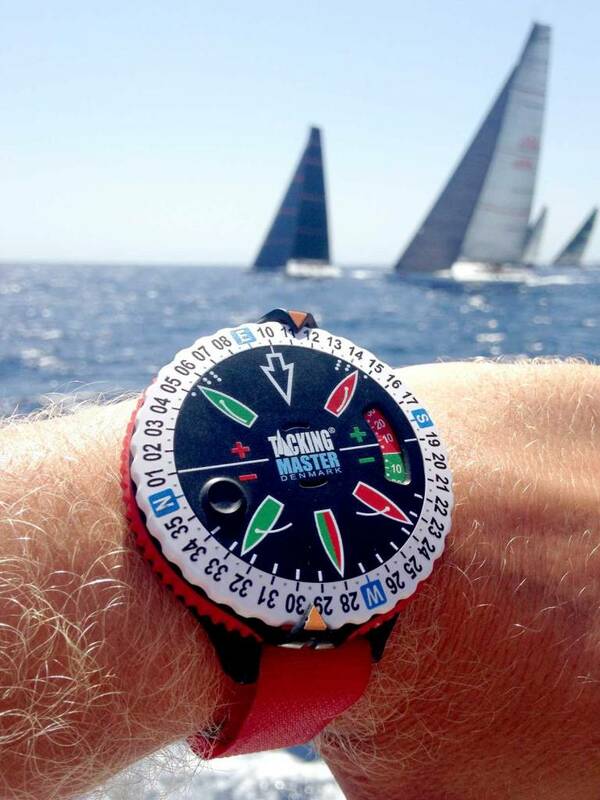 Through visualization it facilitates the understanding of changes and trends of the wind during the regatta sailing. 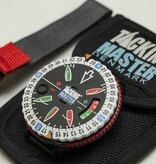 The visual representation of the TackingMaster the skipper has all main directions in front of him and can thereby better prepare for the next course change. 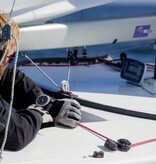 Resetting the Windeinstellscheibe (at 0 ° reset). 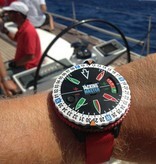 Loosen the lock ring (the red ring) with a short rotation. 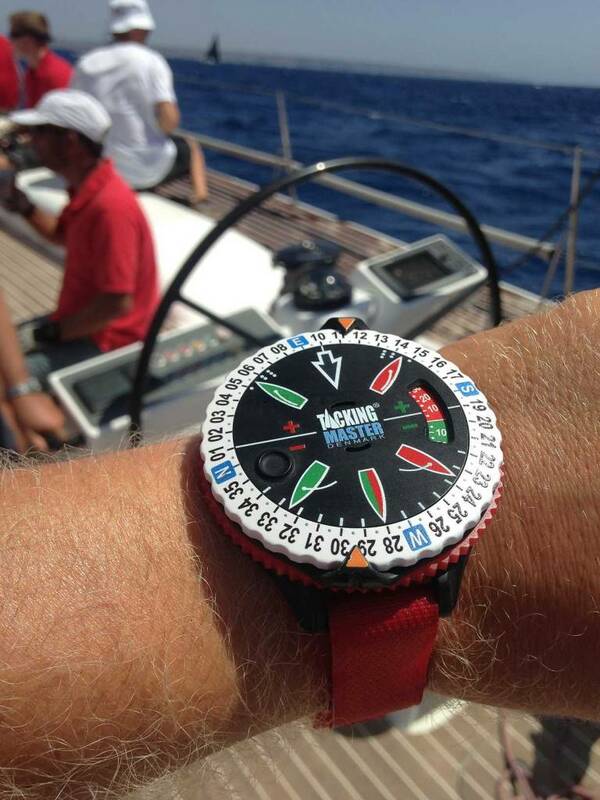 The prevailing wind direction is set on the white outer rim. 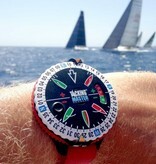 The position of the windward mark is marked by the orange arrow. 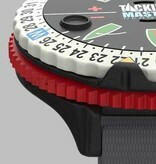 Fixing the lock ring (the red ring) with a short rotation. 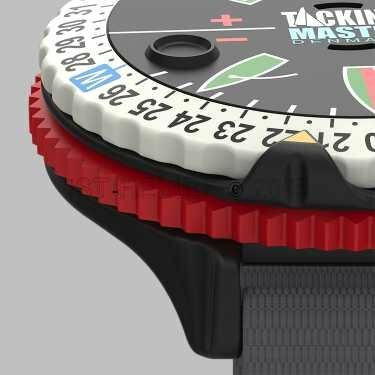 If the compass deviates from the course on the TackingMaster, the change needs to be adjusted by rotating the inner circle. A look at your TackingMaster then shows on which bug the windward mark is best to rest. 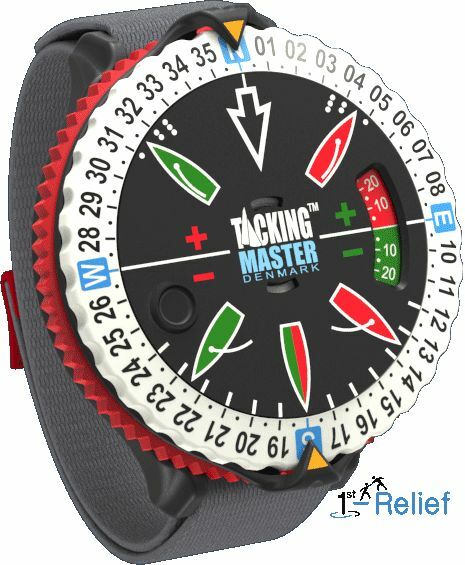 In addition, can be personalized with the TackingMaster the turning angle at the intersection determine or detect the preferred side of the starting line. 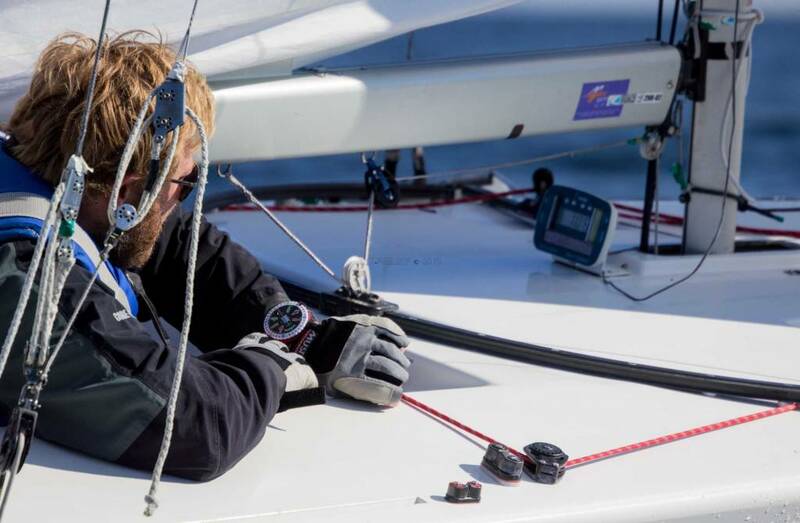 This useful tool is for those ambitious sailors who do not want to deal with dead batteries or simply looking for a "indestructible" Rig.